Sizing vRealize Operation Manager 6.0 using your existing vCOPS 5.8 environment information. 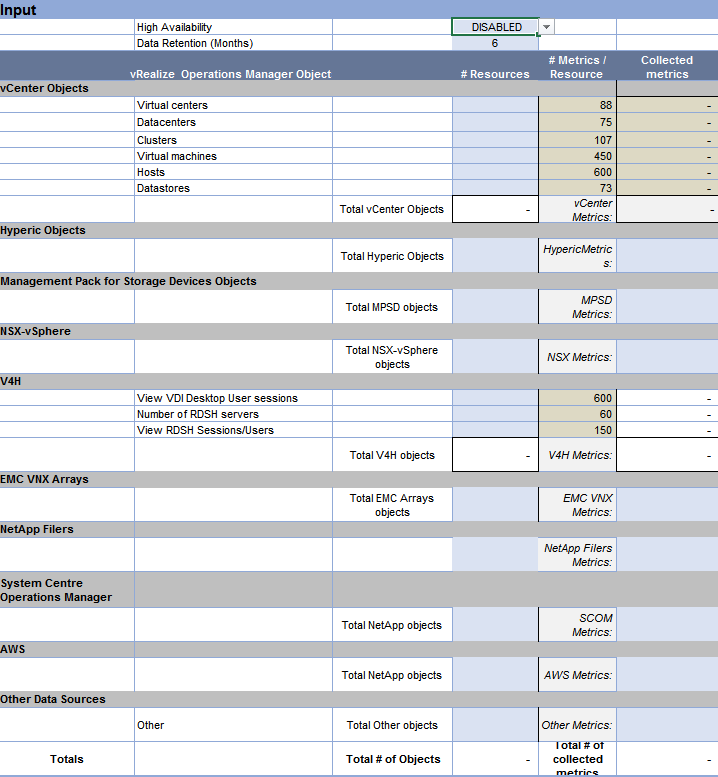 VMware provides a comprehensive KB on sizing your vRealize Operation Manager. 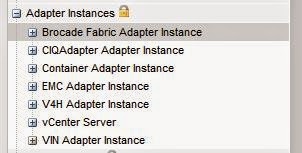 However this document is very much focused on first time installation architecture and does not really provide much information on how you can use your current 5.8 environment details in conjunction with the advanced Sizing guide spreadsheet. I will just be focusing on the input parameter of this document and how i found the information needed to complete the excel spreadsheet. Hope this helps but if you have a better solution please let me know since this is just from my own experience. Open the custom UI webpage for vCOPS. Select your preferred report type and submit. 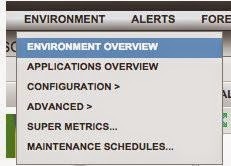 At the bottom of the output page you have the section called “Virtual Environment (existing resources)” . All the details required are available in this section. On right hand side highlight the adapter and select the “Detail view” button. There might multiple instance so go through each and add up for the total count of the adapter. Select the number of metrics collected and number of resources collected. The graphs display the numbers necessary for document. This should provide all the information needed to get the correct sizing for your new vRealize Operations 6 environment.